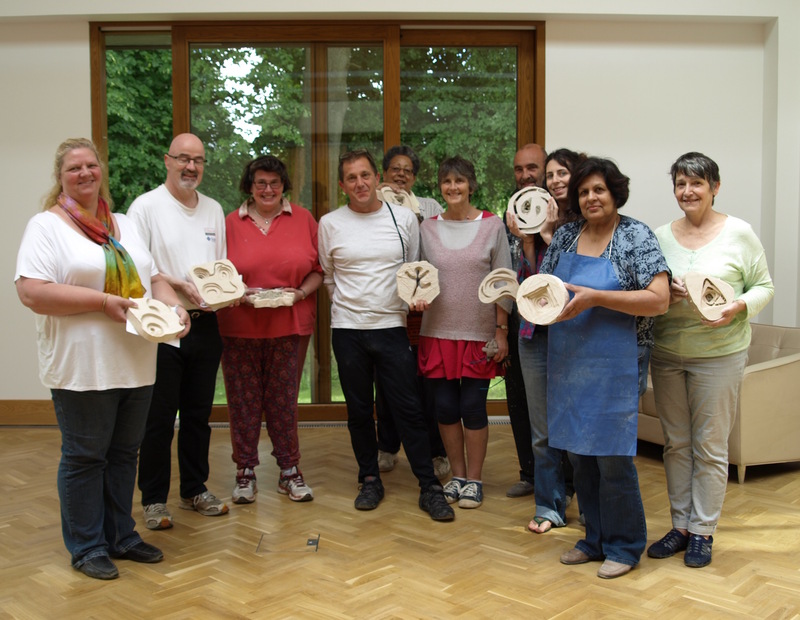 Creative workshops, walks and talks took place with communities local to each artwork. 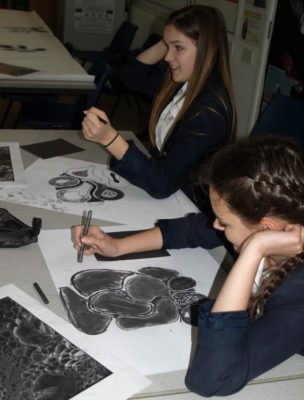 GCSE art students from Woolmer Hill School learned about the structure of charcoal and created studies from photo micrographs with Walter Bailey. 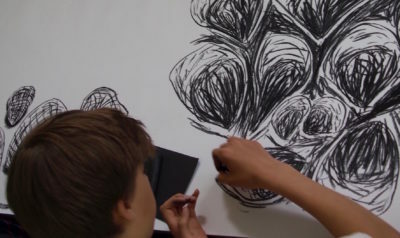 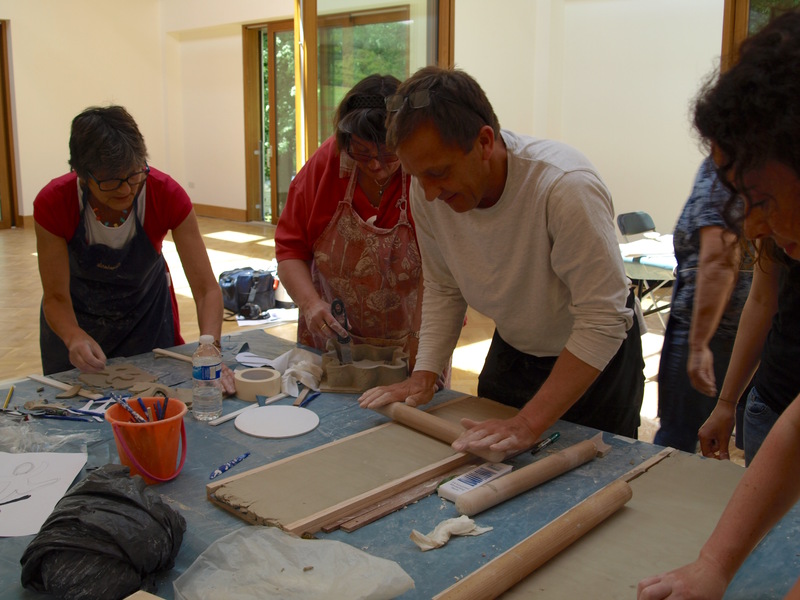 Russell Jakubowski ran sculpture workshops linking to his layered constructions with Year 5 children in Cranleigh Primary School, Year 9 children in Glebelands Secondary School, children at St Joseph’s specialist school and local artists. 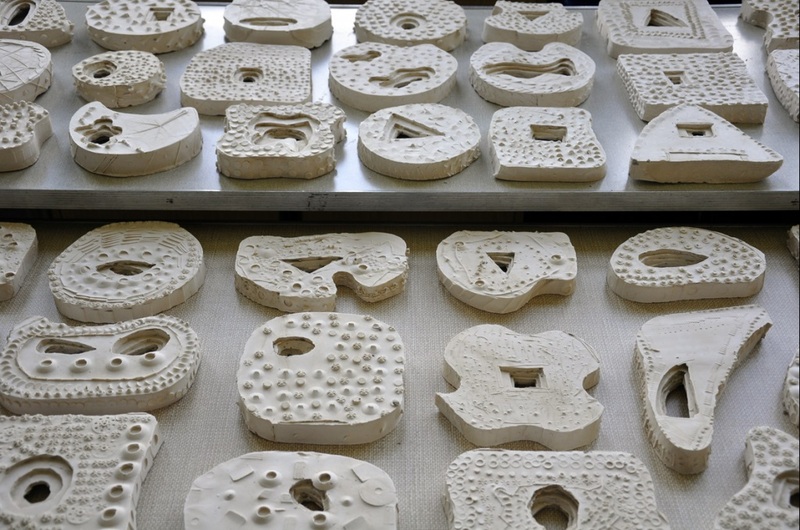 Matthew Burt and Giles Miller lectured at the University for the Creative Arts and Giles also delivered workshops at Peaslake infants school focusing on geometric patterns. 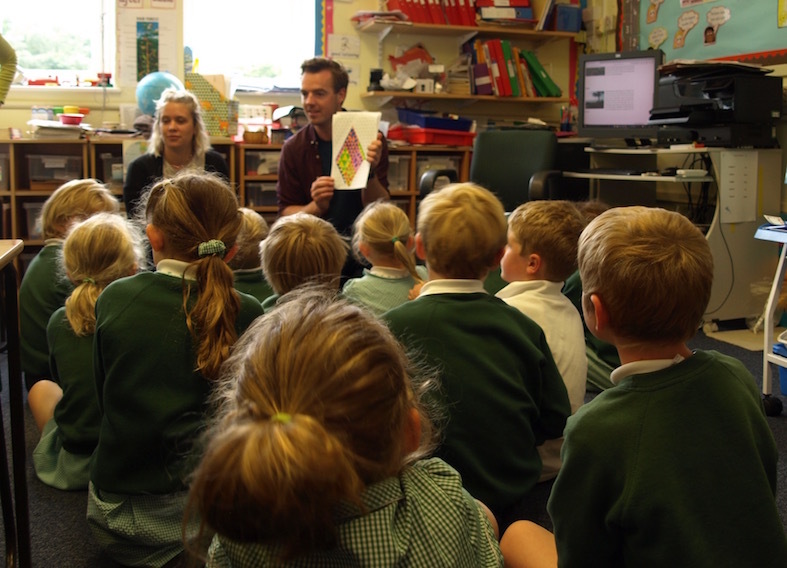 Sound artist Graham Dowdall led a walk in the Hurtwood with young people taking field recordings to integrate into their own soundtracks.